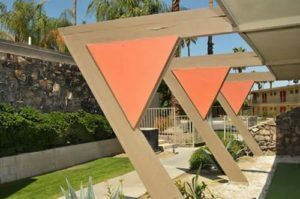 Currently there are 32 recognized neighborhoods in Palm Springs that make up the Neighborhood Involvement Committee — from the Andreas Hills and Araby Commons to the Historic Tennis Club and Sunmor Neighborhood. 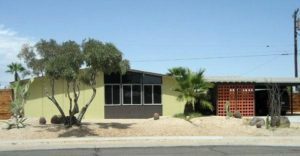 The Neighborhood Action Plan (NAP) ordinance that passed in 2005 created the Office of Neighborhood Involvement to help citizens identify and prioritize their vintage neighborhoods’ need and interests. Involved citizens receive help with master planning, development or improvement proposals, budgets, plan amendments and even helps with describing a sense of place – such as identifying a particular architectural theme, historic location, or design cohesiveness. The repeated angular truss is a unifying detail of the Royal Hawaiian estates. The NAP website even has a downloadable “toolbox” with complete instruction for becoming a Recognized Neighborhood Organization. This set of comprehensive plans is adaptable for any city or citizen interested in protecting their neighborhoods from morphing into a morass of conflicting architectural styles. The toolbox contains an organization application, petition for recognition, example invitation letter, sample bylaws, funding request and neighborhood action plan. These are a first step to what Weinstein outlines in his feature: winning over the neighbors. “It all starts with one requirement: that most residents buy in,” he said. 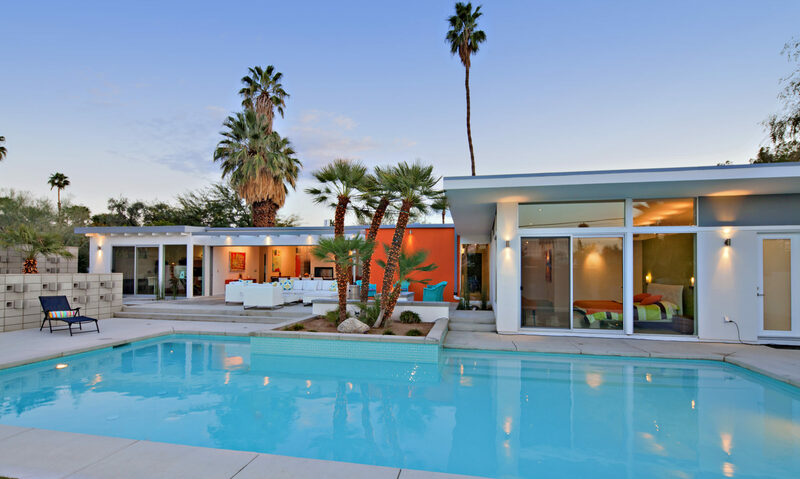 One of the Racquet Club Estate homes that retains its Mid Century Modern architectural integrity. 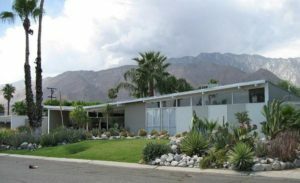 He cites Palm Springs neighborhood activists Nat Gozzano and John Shields who “raised consciousness among neighbors” with a website devoted to their neighborhood, Racquet Club Road Estates, a tract built predominately by the Alexander Construction Company, designed by Palmer and Krisel, in the 1950s. “The website is such a valuable tool to educate people and help them to understand what they’re sitting on in their neighborhood,” says Gozzano. Sometimes educating neighbors is all that is needed to enlist their support. Other times, an architectural review committee is more effective. A homeowner association’s architectural review committee may be set up to review proposed changes to houses, and enforce architectural guidelines that are distributed to all residents. Often the CC&R’s (Covenants, Conditions & Restrictions) that come along with the deed may preclude anyone from building a second story, for example, or doing anything without the approval of the architectural review committee. Most advocates of architectural restrictions seek solutions that “achieve the most while affecting the individual choice the least,” said Weinstein. Pride of ownership keeps neighborhood home values up. 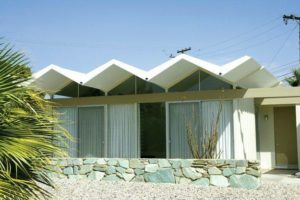 The obvious advantage to keeping the architectural integrity of your neighborhood — whether it’s a Mid Century Modern, Spanish Revival or a mid-1980s Mediterranean tract — is that “pride of ownership” keeps up your and your neighbor’s home values. You just might find yourself an advocate of preserving your neighborhood.